Have you wondered why Microsoft quietly accepted yet another two years of government oversight? Simply put, Microsoft doesn’t want to end up with the problems looming over Google. There has been much buzz over the last couple weeks about the US Justice Department looking closely at Google. The rumors used the “A” and “M” words, antitrust and monopoly, to describe how trustbusters view Google’s search dominance. Today’s Wall Street Journal claims that the Obama Administration has put together an antitrust watchlist, on which there is Google’s name. The Obama Justice Department appears ready to follow, and perhaps go even further than, the Clinton DOJ in antitrust enforcement. The Clinton Justice Department, along with 20 states, filed antitrust lawsuit against Microsoft on May 18, 1998 (That’s right, 11 years ago today). The case led to a 2000 court ruling that Microsoft violated the 1898 Sherman Antitrust Act and order for breaking one company into two. But the more business-friendly Bush Administration settled the case, along with half the remaining state litigants, in November 2001. A year later, a new judge accepted the settlement and made it her final judgment in the case. Microsoft’s government oversight was to end in November 2007, but the judge imposed a two-year extension. Google certainly helped the decision, by filing a complaint about Windows search that led to voluntary changes by Microsoft. The more recent extension came quiet unexpectedly, about a month ago. The Justice Department, Microsoft and settling states filed the motion, which US District Judge Colleen Kollar-Kotelly granted. Microsoft’s oversight ends in November 2011, unless extended again. The first question to ask: Why would Microsoft so easily agree to two more years of oversight? The answer is another question: Why not? If the Obama Justice Department is going to step up antitrust enforcement, the safest place for Microsoft is existing oversight. Microsoft is a problem solved, from the Obama Administration’s perspective. Google and some other high-tech companies, including Apple and Intel, are problems yet to be solved. Microsoft is the caged beast, while Google is fair game. It’s open season, and the Obama Administration is on the hunt. For the hunters, Google is too dominant; it disrupts the food chain. Google must be caged, too. Or killed. 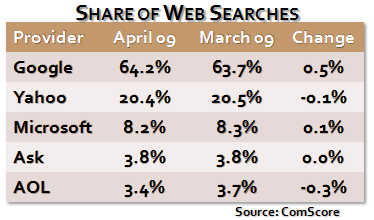 Google’s search dominance is indisputable, but it’s influence over Internet commerce extends much farther. Last week’s four-hour Google outage affected as much as 5 percent of Internet traffic. Google standards influence search and advertising, and much more, not just on the desktop but Web-connected mobile devices. Recently, I got a personal taste of how much clout Google welds online. On April 30, I was laid off by eWEEK as editor of two blogs—Apple Watch and Microsoft Watch. Before April 30, joewilcox.com was simply a personal blog. I didn’t care much about traffic; I do in its reinvention. One of the most important ways to get search traffic is the publication of a sitemap, which must be manually verified by Google. Google Sitemaps launched in June 2005. The XML files were supposed to make easier and faster the search crawling of Websites. Microsoft and Yahoo later supported Google’s Sitemap Protocol (Did they have any other choice?). Now sitemaps are a necessity for Google search (I submitted a sitemap for Windows Live Search, but not yet Yahoo). I know news organizations that have adopted what I’ll call the Google Sitemap religion. They make their regular, obligatory sitemap offering to get high placement in Google News. Will the Great Google God favor them with traffic? Not without a sitemap. I registered my first domain in 1994 and currently have about 20 registered. I remember when changing DNS servers was painfully difficult; no longer. But no domain process was more surprising than being asked to post a sitemap so that my primary domain could be search indexed. Google is hugely influential over the Web, particularly when it comes to utility of search and the economy around keywords. But Google’s influence stretches farther. The Google economy disrupts established companies like Microsoft, which sell goods or services that the search/information giant gives away for free. Will the more regulatory inclined Obama Justice Department view this disruption as anticompetitive? US antitrust law is particularly hard on price fixing, which usually takes place between two or more companies. Classic example would be airlines agreeing to set prices, thus negating the price fluidity caused by competition and bringing harm to consumers. Google fixes prices for many services at zero, and this is for stuff other companies charge for. Is that anticompetitive? I wouldn’t say so, but I’m no lawyer. But I have closely followed Microsoft court cases for more than a decade—and learned something about antitrust law along the way. Pricing certainly was an issue in Microsoft’s US antitrust case. The company gave away for free Internet Explorer and bundled it for free with Windows. Netscape charged for its browser, but later was compelled to give away the software (Did Microsoft give any other choice?). US trustbusters argued that Microsoft used its Windows dominance to push into an adjacent market, with IE’s free cost and Windows bundling being two tactics. The Clinton Justice Department had a tough time making pricing and adjacent market arguments stick, but ultimately convinced the judge of something more pressing for his remedy: That together, Office and Windows created an “applications barrier to entry” for competing products. Google may be vulnerable, too. Then there are Google search bundling with Mozilla Firefox, Apple Safari and Google’s own Chrome. An aggressive Justice Department could argue that the company’s dominance in search and, related, advertising create barriers to competition for other products. Google is standing pretty much where Microsoft did 11 years ago. The Clinton Administration prosecuted Microsoft for fear the company would otherwise become gatekeeper to the Internet. The Obama Administration could easily act against Google from the same fear. Microsoft’s past sins give it some protection from Obama’s antitrust hunters. As previously stated, Microsoft is caged. Google is game. I know, I know, guns and liberals are supposed to be oil and water. Not back home in Maine. My dad hunted bear and deer, and he voted Democrat. Would he shoot a Google? If it had antlers, absolutely. I think Google has a natural monopoly in search; they may get a slap about toolbars and default searches in Safari and Firefox, but this isn’t radically different than IE (which still has 70% market share). Google’s position in advertising – especially keyword advertising – is another matter. I am not a lawyer, but this may be more fertile ground for the DoJ. On similar lines, I’m also wondering at what point the DoJ also pursues Apple for a monopoly position for iPod/iTunes. I’m sure they’d get support not just from hardware companies (Sony, Microsoft, SanDisk) but also media companies. Having a monopoly is not a crime. Neither is offering a different pricing model for your product. For example Nokia often gives away phones when other mobile phone manufacturers sell them without a contract, that does not make it illegal. Google may have a large marketshare but I am not sure you could say it is a natural monopoly, even if they do have a monopoly they have to be exploiting it in such a way that HARMS COMPETITION. I really cannot see how Google is harming competition just because they offer search deals with Firefox and Safari. IE still holds >60% of the browser market and IE allows Live to be the default search provider without any payment. If the DoJ were to make a case against Google, what would the remedy be? What is the exact crime (other than having a different business model and being the best)? Would they force Google to charge for search? Apple is the same, I find it difficult to see how they are harming competition. If anything the music companies should be forced to stop colluding on prices and terms (they are the only reason we have DRM). There are good reasons to argue Google’s dominance in the space, but that’s an incredibly weak point, to suggest that sitemaps is somehow a Google proprietary thing or required. I mean, one version of the sitemaps protocol is simply a list of URLs in a text file. Heck, Infoseek allowed that back in 1997. Hey Joe, as Danny mentioned, Sitemaps are definitely not required in any way to be crawled. Google tries very hard to discover and crawl sites completely independently of whether the sites have a Sitemap. Sitemaps are also an open standard at sitemaps (dot) org, so while Google drove a lot of the early momentum, it’s not a Google-only effort. I hope that things go well on this site! Imagine 10 food vendors in a remote town. Nine of them offer dirt, mud, toxins, and other sludge. One offers real food that is tasty and nutritious. People flock to that one vendor, and that one vendor appears to have a monopoly on the food market. But is it a harmful monopoly? Yes, say the other nine vendors. As they are a collection of thugs, warlords, mass murders, cruel dictators, and other dregs of humanity, that one vendor’s offering of compellingly good food is hurting the ability of the other nine vendors to prey upon their fellow humans and become richer at the expense of others. Can you get the same function from Outlook Web Access, Sharepoint, or MS Office from Firefox on Linux or Safari on Apple as you do from IE on Windows? NO!!! Can you get the same function from Gmail from Firefox on Linux or Safari on Apple as you do from IE on Windows. YES!!! Can you get the same experience from Silverlight on Linux as you do on Windos? NO!!! (Don’t give me the moonlight nonsense. It ain’t there.) Can you get the same experience from Google-hosted YouTube from Linux as you do from Windows? YES!!! If Google is the only company in the world that has the brains and vision to offer a compelling search and offer it to all browsers on all platforms, then other companies can either become intelligent or else die from their own stupidity. The world does NOT owe stupid people a guaranteed place among the successful. But the stupid people don’t agree. They stupidly claim that Microsoft’s 94% desktop monopoly is a reason for people to run Windows and shut up about the alternatives. They stupidly claim that Google’s superior search offering to which people flock voluntarily is a reason to shut them down, as they are hurting the ability of the stupid people to prey upon their fellow humans. Right. The keyword economy is where the DOJ ax will fall, if there is one. The EU will go after Apple before the US, I predict. You’re right, billybob, at least for the United States. 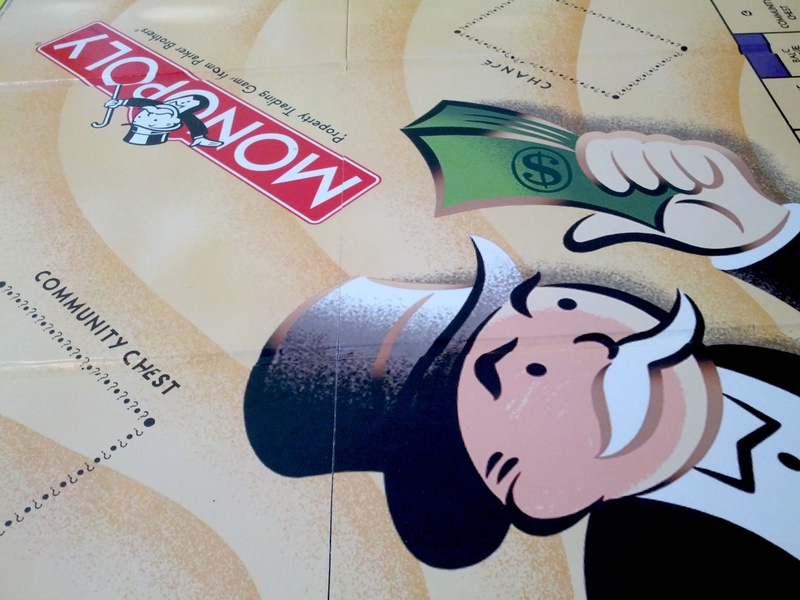 It’s not illegal to be a monopoly; it’s about how the monopoly power is exercised. The court found that Microsoft legally obtained its monopoly, which should be said about Google. But there is the fear factor. The Clinton Administration feared Microsoft would become the Internet’s gatekeeper, a fear more aptly applied to Google. I didn’t think a case was winnable against Microsoft in the beginning; US law allows lots of rough play. I now understand the nuances that hung Microsoft. US law is designed to protect consumers not competitors. The DOJ only needs prove that Google’s monopoly hurts consumers. EU is different, where the claim is consumer harm but the reality of decisions often protects competitors. Sitemaps are required, Danny, even if not stated so. Search is better and placement in Google News changes, too. For companies looking for traffic and associated keywords and advertising, sitemaps are required. I’m testing the new TypePad, which offers to create a sitemap under the SEO tab. If not important to bloggers, why would TypePad offer the feature? An analogy: Some colleges might say that you don’t need to take the SAT to get admitted. But the students taking the tests and getting higher scores are more noticed and more likely to be accepted. Similarly, sitemaps can dramatically change a Website’s search visibility. Matt, please see my reply to, Danny. Additionally, the protocol originated with Google. People give Microsoft a hard time for driving standards. Why not Google? There is a big difference between Microsoft and Google. Microsoft tried to strangle the internet by using their own protocols and standards. Once you write your websites to IE standards only, you are forcing your customers to use IE and therefore Windows. It is perfectly possible to browse the internet without using any search engine at all. Or you can use one of the many competing engines, nothing stops people from switching from Google to Yahoo, the internet will still be the same internet. If you look at the general way that people browse the internet, I would suggest that 90% is not done through a search engine. I think that search is used for very specific queries, but the rest is people following links from Twitter, Facebook etc. Microsoft claim that they are following standards now, but is is nothing more than lip service and passive aggression towards the web developer community. I hope that the EU nails them to the wall over their continuing attempts to hold back the web just so that they can keep their Windows cash coming in. The customer is suffering more than you think, but they cannot miss what they never had. The web with advanced GUI features is going to kill Microsoft’s client business. Read the internet tidal wave memo again and then look at the history of IE, ActiveX and recently Silverlight. Silverlight is not an attack on Adobe, it is an attack on HTML 5 and advanced web applications. Please tell me with a straight face that Microsoft is going to implement the video tag, even though it conflicts with the main purpose of Silverlight. Joe, sitemaps are not required. Why does TypePad offer it? Because it’s a handy thing for a CMS to offer. But I can assure you, there are millions of sites out there without any sitemaps and which are doing just fine. I’d beg you to back it up. I don’t mean to be argumentative. It’s just that you’ve written on tech for ages, are well respected, and people will believe this is the case. You need to provide evidence of that. All I can tell you is that from having covered the SEO space, hosted heavens knows how many conferences on the issues, people do NOT report that adding a sitemap to be a magic solution to ranking better. In fact, you have a group of SEOs that are so suspicious of Google that they refuse to use them — and yet they rank well. In terms of driving standards, Google is the market leader. They’ve indeed help drive some of them; they’ve also developed many of them in conjunction with their parters. Most enhancements to sitemaps have been very useful for site owners, and usually they have not been things that initially came out of Google. They’ve been joint releases. I wonder how you tested that search was better before and after adding a sitemap? In theory the sitemap will only tell Google or any other search engine which pages you have to make it easier for them and you. I find it hard to believe that you could come to any conclusive result about what goes on in the search engine. SEO is web voodoo, just because people do it does not mean that it is useful. Most people that understand SEO will tell you to concentrate on links and writing content. As long as you have your meta tags correct and you get lots of links then you will be OK. You might want to look at your image alt-tags, I notice they are not very useful. You have an atom feed linked from your source, that is 100 times more useful to Google than any sitemap. So here’s the difference before and after the sitemap–and it was a change at Google and not Windows Live. I’ve often wondered why when searching for “Joe Wilcox” the first hit wasn’t joewilcox.com. It was on Windows Live but not on Google. That changed the day after I submitted sitemap. To me that’s kind of basic search, but something long overlooked by Google search. Should it have required a sitemap? Firstly, Windows Live and Yahoo give high value to keywords in the domain. I would expect them to rate you highly for a search of ‘joe wilcox’. You think they are similar to Google but they are very different, Live and Yahoo are fairly dumb and easily fooled. You must have heard of the ‘Google dance’ – that is all that you are seeing here, it is because you are a new site and they are just getting a handle on what you do and how popular you are, your link juice is probably still low. You cannot tell that searches done between your first and second test did not affect the results. It could be possible that someone searching for you was logged in and Google detected that they chose the third result and then it upped your ranking. It could be that another 100 external links were registered to your site on that day. Anything is possible. If I search on the UK Google, this site is ranked 5th, behind your Microsoft Watch site and a profile of a football player from Sc*nthorpe United. Also your typepad URL is ranked more highly that this URL so you have some duplicate content issues which can cause you problems. You mentioned submitting the sitemap to Google, you do not need to do that anymore – you just add a metatag which points to it and everyone will get it (not that I think it will help much besides slowing your crawl rate). I assume you submitted your site to Google News? That is more useful for you than sitemaps. Like Joe, I’ve learned a few things about competition law from following Microsoft’s trips through the ringer. The term ‘natural monopoly’ is generally not meant to suggest something nefarious. Instead it refers the a company that has developed it large marketshare/monopoly through completely legal means. Therefore their monopoly marketshare is not a problem, only their attempt to translate that market share into market power to illegally prevent competition (monopoly maintenance). That said, the rules are different for a company with 20% market share than a company with 90%. And the case against Google is far from a slam dunk. However, you need to look at the Internet advertising market, not the search market, to get a sense of where the real potential abuses would lie. All the money and the power is in advertising, search is a just a sideshow and a means for getting and improving the profitability of ad placements. Just to be clear, billybob. My site isn’t new. I’ve had joewilcox.com for about 10 years. I only recently repurposed it from being a purely personal blog. Well, personally I learned about monopolies through actual formal education. That is why I am going to take issue with your definition of ‘natural monopoly’. Natural monopolies are markets where the cost of entry is so high that no company can recoup the investment without being given a monopoly. The examples normally given are train, electricity and telephone systems. In the UK BT was given the monopoly initially and British Rail was given the monopoly for the rail system. There is no way that you can argue that operating systems or web browsers are a natural monopoly. Just because the Bush Government looked the other way, it does not mean that Microsoft did not break the law. To bring an anti-trust case against a company you must complete this sentence. _____ has a monopoly over the supply of ____, they use this power to restrict entry to the market by _____. Microsoft has a monopoly in the sale of computer operating systems, they use this power to restrict entry to the market by offering better deals to OEMs who do not provide an alternative to their operating system. The site is not new, but there was a sudden change in content and links. I saw the site down a few times, so it is only natural that the Google search results are going to be a bit erratic. The point is that Google is a black box and you would need a lot more evidence to prove that a sitemap was required to be indexed or it affected your ranking. I think most people who do SEO regularly would not agree with your conclusion. If you are looking for something proprietary to Google and possibly anti-competitive, why not try looking at the Google Base/Products feeds? They are probably an easier target than just a list of URLs. I’m sorry i wasn’t more clear in my point, and did not give you the full definition of the term ‘natural monopoly.’ However, the fact that natural monopolies are formed through completely LEGAL means remains true, even in Wikipedia. I generally agree with you that the browser market, operating system market, and Internet search markets are NOT natural monopolies. However, some try to make the argument that they are natural monopoly markets because of network effects. I’m not sure I buy your formally educated analysis of the Microsoft case, however. First of all, Microsoft does not have “monopoly over the supply of” operating systems. This is not the Steel market where having control of the supplies of raw materials has any relevance. Microsoft does not have any control over supply of “operating systems,” but they do have a dominant share of the operating system market and can control supply, pricing, and design of the Windows OS. This is a bit more complex than you make it out to be. But this is really neither here nor there, except I would like to remind both you and Joe (who should know better) of an important fact this is all too often ignored in the retelling of the Microsoft case. The ONLY reason that the Bush administration got involved in helping to negotiate a settlement is that the Appeals Court (Not the Bush admin) struck down the Break Up order and voided a lot of the findings of Judge Jackson’s court. We can have a rational debate about whether the eventual settlement was tough enough or not, but it wasn’t Bush and cronies that saved Microsoft from a breakup, it was the judicial system. Also, we should not forget that the DOJ and States got Microsoft to agree to remedies as part of that settlement that were completely unrelated to the case at hand including: server-to-client interfaces, media player competition, etc. Well said, Philosopher. 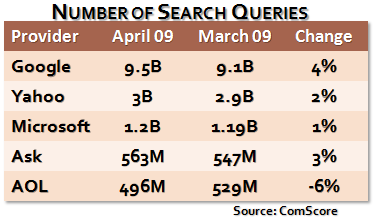 There is no question that Google’s Search market share has been built on the quality of its product. They have built a great product and are being rewarded for it. Microsoft and others argue that there are network effects that make catching up with Google in terms of quality search results (the more searches done on your system, the more information you can analyze, the better your results…), but I don’t think that is where the interest from regulators has really been focused. During the review of the Yahoo! deal and the merger with DoubleClick, the market that was being analyzed was the market for internet advertising, usually the market for search advertising. The question here is whether the market share Google has gained through completely legal means is being used to distort prices for advertisers and revenue agreements with content providers. You can substitute ‘dominant market position’ for monopoly, it means the same thing and is just as illegal to abuse. I am not sure what you mean about the DoJ, wasn’t it the EC that imposed the remedies for the media player and server protocols? If you meant that the DoJ just got them to agree with the EC then I don’t think they had much choice, you can’t just go against the EC and still expect to do business in Europe. Network effects come from using standards like POSIX, Java, HTML and all the other ones that Microsoft embraces, extends and extinguishes in favour of de-facto proprietary standards which have no network effects. P.S. Natural monopoly is an actual term which means something, you can’t redefine it – choose another word.